Militant teachers and education sector unions from around the world strategize in México City | Fight Back! México City, México - Militant teachers and education workers from around the world gathered to strategize in México City, March 4, the opening day of the 18th Congress of FISE (International Federation of the Education Sector). FISE is the education sector organization of the World Federation of Trade Unions (WFTU), an international union federation with more than 92 million members worldwide that is based on class struggle unionism, union democracy, internationalism and anti-imperialism. 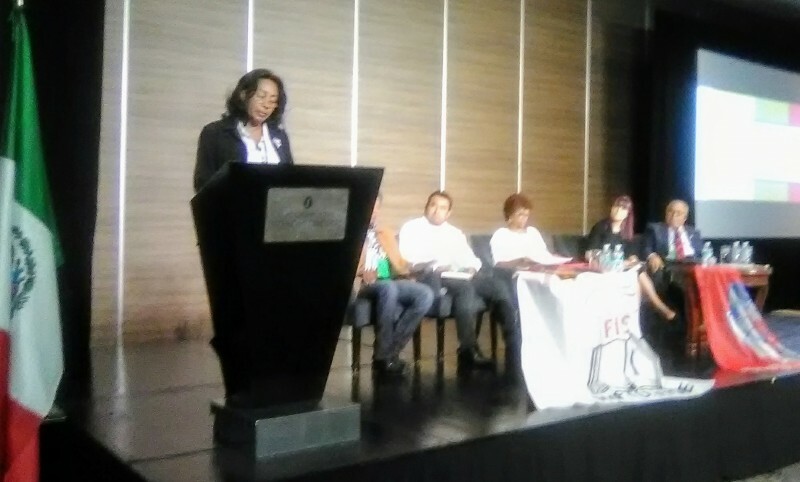 The 18th FISE Congress is hosted by the National Coordination of Education Workers (CNTE), the militant Mexican teachers union that has led bold strikes in defense of public education. There are delegates in attendance from teachers and education unions from many countries including Cuba, Brazil, Lebanon, Greece, Costa Rica, Panama, Niger, Senegal, Basque Country, Vietnam, Argentina and Chile, among others. From the presentations of unions around the world it became increasingly clear that capitalist governments are following the same “education reform” playbook in their attacks on public education, cutting education budgets, degrading the quality of public education, laying off teachers and privatizing public education for profit. The speeches were full of urgency and hope. Delegates spoke of the responsibility of teachers and their unions to organize and protect education from privatization and capitalistic automation, both figuratively, as testing replaces critical thought, and literally, as computers replace teachers. Many delegates stressed that this organizing must reach beyond teachers’ individual unions to their students, parents, the broader community, and ultimately across borders to create continental and global solidarity. A delegation of trade unionists from the U.S. is present at the 18th FISE Congress, including rank-and-file leaders from the Chicago Teachers Union (CTU) and AFSCME Local 3800. The U.S. delegates expressed enthusiasm to learn from the class struggle approach of unions around the world that are fighting back against the same type of attacks on public education. The FISE Congress will continue with plenaries, resolutions and leadership elections.